Automatic shirt folders improve the appearance of T-shirts and other garments while reducing costs by automating the labor-intensive task of garment folding. 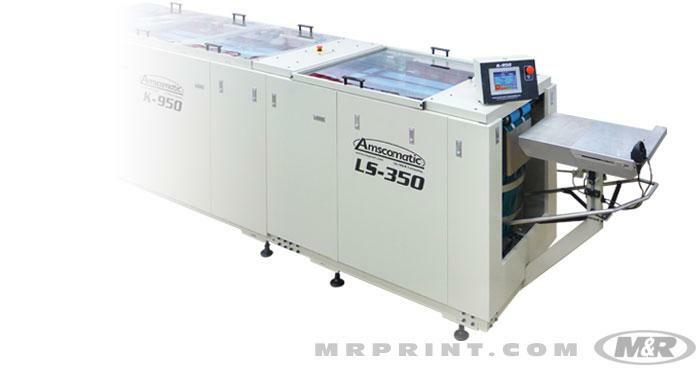 Amscomatic's K-950™ is a sophisticated high-speed automatic folding system designed to precisely fold a wide variety of garments and other textile items. It’s engineered for dependable performance and low maintenance in demanding, high-production environments, and can be easily integrated with other Amscomatic equipment to create a highly-productive folding/labeling/bagging/sealing system. 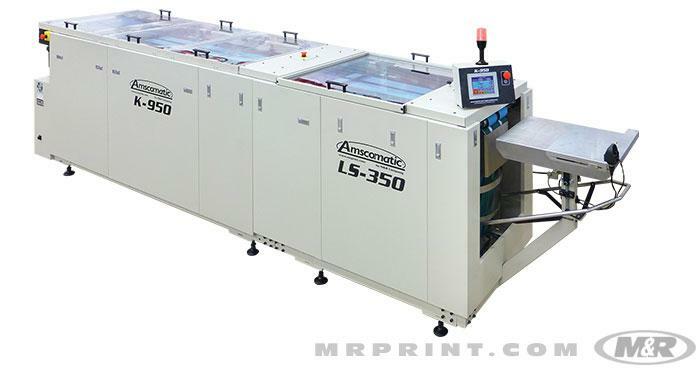 Folding long-sleeve garments is easier than ever with the Amscomatic LS-350™ long-sleeve pre-folding attachment.